In recent times the complex relationships between the governing administrations and local militias takes centre stage in what appears to be a mystical land with enigmatic people known for their profound intelligence and astute philosophy. 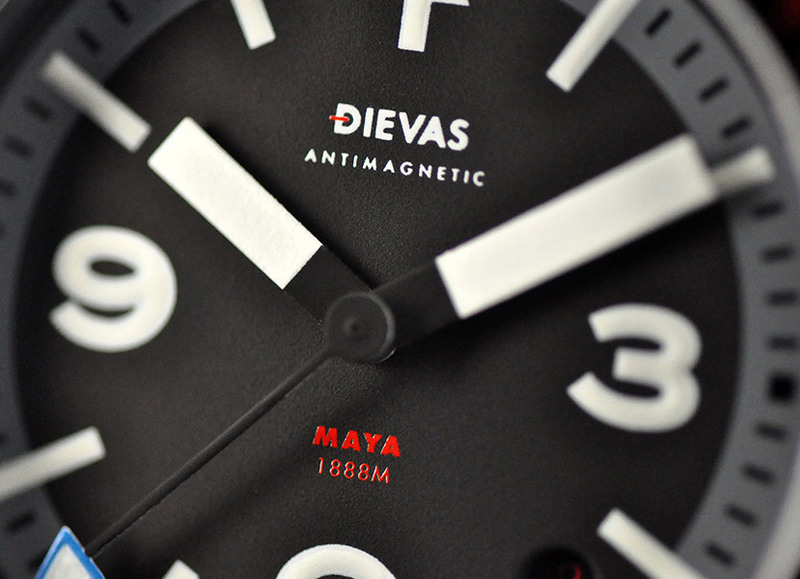 MAYA will take top spot in the Dievas 6Steel range of metallurgy enhanced watches. 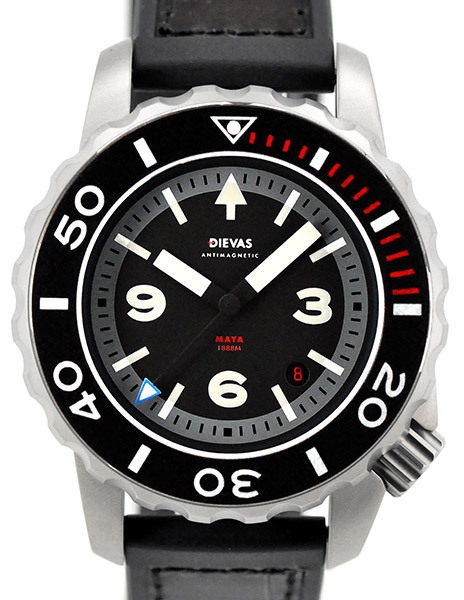 Being in the Dievas 6Steel family, all the multi-pieced watch cases are firstly CNC in Germany using the best modern equipment and then finish and polish by an experienced hand on site. This is shown through its well defined lines, finished edges and beaming luster. Holding a 6Steel Dievas watch case, one can immediately feel its quality and its cut above the rest. Such a high caliber case is an essential ingredient in fabricating a strong foundation prior to undergoing advanced metallurgy treatment. Dievas together with one of the Europe’s most established materials engineering company, partner to implement 6Steel hardening to watchmaking. For around 20 days, the steel will undergo high tech heating procedures that will amplify the hardness of the watchcase to 1300Hv, approximately 6 times the hardness of stainless steel. This greatly improves scratch and abrasion resistance. This process is executed to every part including the crown and caseback. Another significant attribute of the 6Steel MAYA is its anti-magnetic feature. The watch case is designed to include a faraday cage. This meant that the watch movement is completely encased in a separate compartment made out of a highly permeable material(soft iron). Even the watch dial is made of a special material to complete the perfect sealant. Fully operational, the soft iron chamber shields the movement from electric fields by distributing static and magnetic radiation only along its exterior while canceling out electric charges or radiation within its interior, good for protection up to 1000 gauss or 80,000 A/m. This is almost 17 times more than a standard issued Anti-Magnetic watch rated to DIN 8309 (Deutsche Industrie Norm - German Industry Norm) standards. Armed with this feature, the MAYA will continue to operate flawlessly if one needs work done in a high radiation environment even to the extent of a nuclear uranium enrichment facility. Ticking away in the heart of the watch is the ever so reliable and proven Dievas/Swiss automatic 28,000bhp mechanical automatic movement, ETA2824-2, modded to Dievas specifications which includes better watch parts and a Dievas custom DLC-treated CNC rotor. Each watch is adjusted to its maximum efficiency for the most accurate time telling by our experienced watchmakers. Readability is always paramount in every Dievas watch. One must be able to tell the time at a glance. Our designers strictly use the ‘form follows function’ charter. Every layout must have its purpose. 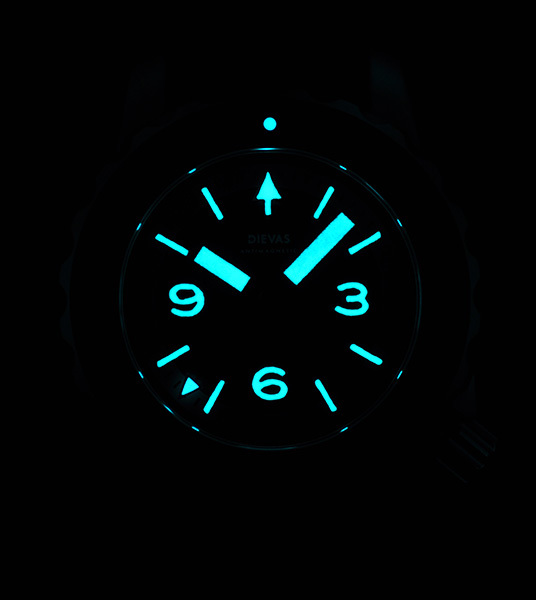 The MAYA’s watch dial and hands are coated with Grade A Swiss SuperLuminova glow pigment, the best in the industry. Multiple layers are applied for visibility in low light environment. 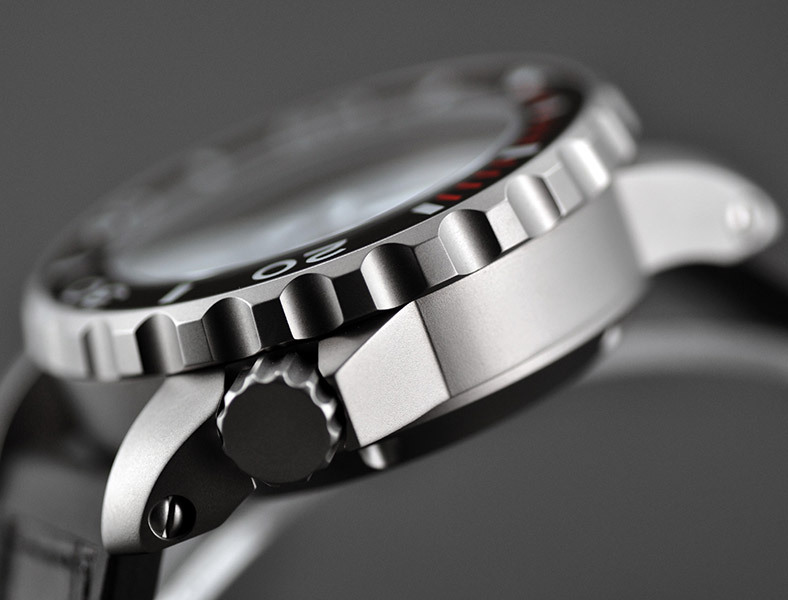 The turning bezel with 60 precise clicks is individually marked for accurate time tracking. Strapped onto MAYA is a unique alligator leather and rubber combination (first of its kind). This will give the watch access to outdoor adventures and dinner galas. First a design is envisioned. A genuine Italian rubber mould is fabricated with cavity ready for leather transplant. The prefect alligator leather piece is chosen and cut into exact mm dimensions before meticulously hand stitched onto the rubber. Done by an artisan, no fray stitches anywhere. All straps are handmade with material sourced and made in Italy. 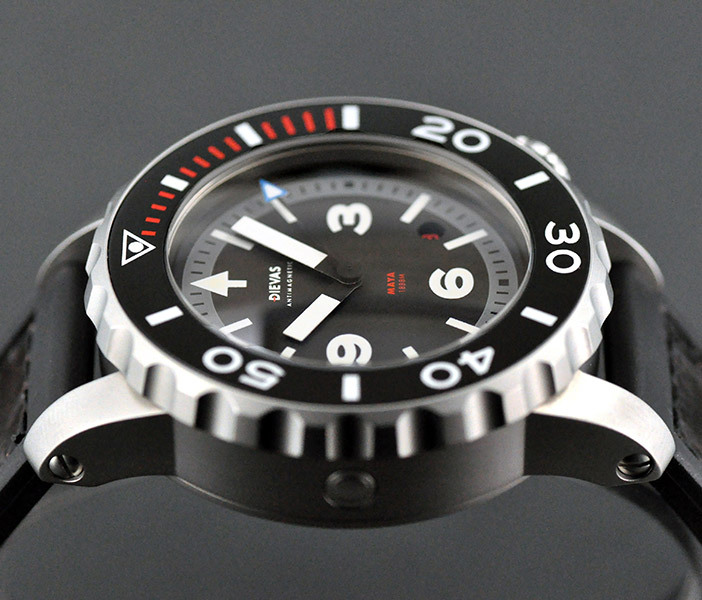 The Dievas MAYA 6Steel is a timepiece with plenty to give. From her German CNC milled case, hand finished polishing, 6Steel watch hardening, 1000 gauss antimagnetic ability, Dievas modified Swiss ETA2824-2 automatic movement, 1888m/6000ft water resistance, unitarian dial design, SuperLuminova luminous, Italian handmade strap and many more. Experience the MAYA, wear high quality. An technology packed timepiece befitting the gallant heritage her name carries. StrapAnti-static Italian Caoutchouc rubber strap with genuine alligator leather insert. Vanilla scent.